Kryptos-17™ is Plasma Ruggedized Solutions’ new, proprietary, two-part potting material. Specially formulated by our own chemical engineers, Kryptos-17™ is designed to deliver better overall properties than available “standard” materials. 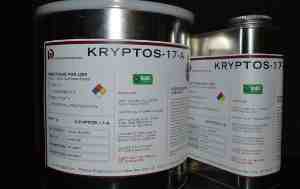 Kryptos-17™ provides a better-finished product with greater reliability than other potting materials. 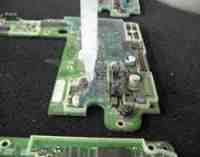 This state-of-the-art epoxy casting resin is designed to meet the physical security requirements of FIPS 140-2 and FIPS 140-3 for encapsulating materials. It is designed for both indoor and outdoor applications. This unique material inherently provides effective tin whisker mitigation and provides very good resistance to water, salt spray, inorganic acids, bases, and most organic solvents. Kryptos-17™ exhibits good wetting and adhesion to most substrate surfaces and is free-flowing to penetrate voids and provide good air release for complete, uniform encapsulation. Contact Plasma Ruggedized Solutions for more information about our high performance, custom-formulated Kryptos-17™ potting material.